I wrote a post recently on How to Protect Your Children from the Dangers of Abduction. 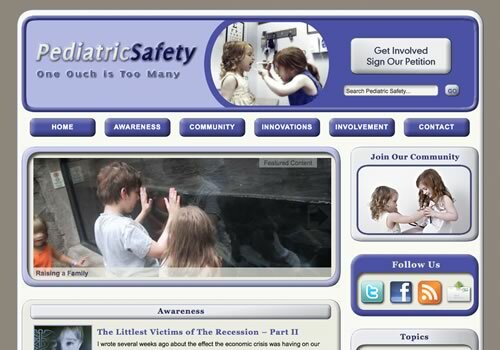 Well, I was contacted by www.PediatricSafety.net who loved my post and wanted to use it on their site. I am all about sharing, so I agreed. 🙂 To read that post – Click Here. I would like to tell you a little bit about PediatricSafety.net. They are a community for everyone who cares about the health and welfare of children – which includes: parents, teachers, medical professionals, emergency responders, etc. Their goal is to raise awareness for child health and safety issues and provide a community for all caregivers to have an open exchange of questions and ideas. The reality is, the world of child health and safety issues are changing at an incredible pace. Every day we are faced with new challenges, but we also discover incredible new cures and new technologies as people work to find better ways to make this a safer world for our kids…and for the people taking care of them. PediatricSafety.net does their best to report on and make sure their readers are aware of what is happening in the world around them. There is comfort in a community – in hearing the advice of a physician or nurse – not only on how to keep your family safe from the latest illness, but also the “little things” that will help “the whole family” – kids and parents – grow up healthy. They offer community posts by experts and by parents that guide, reassure, inform and advise…or in some cases just provide a little hope that things will get better. They say “it takes a village” to raise a child and that is why Pediatric Safety was born. So, be sure to check out this awesome and informative site and take advantage of their Community Forum where you can ask questions and build relationships.